Bluetooth is a popular method of wirelessly transferring data between two devices such as your phone and your headphones, your media player and a speaker, or your iPad and a keyboard. It’s one of the most widely used wireless technology in the world, according to the Bluetooth Special Interest Group. More than 4 billion Bluetooth products are expected to ship last in 2018 alone, and that number will likely almost double within the next three years. Bluetooth is all great when it works. But if you’re someone who likes to play around with these kinds of connected gadgets, you know it can be frustrating when there’s a hang-up pairing the two. Here are some common causes of pairing problems as well as advice on what you can do about them. Bluetooth depends on both hardware and software to work properly. So if your devices can't speak a common Bluetooth language, they won’t be able to connect. In general, Bluetooth is backward compatible: Bluetooth devices supporting the Bluetooth 5 standard should still be able to pair with devices using, say, the ancient Bluetooth 2.1, launched back in 2007. However, if a device supports Bluetooth 4.0 (in some cases), 4.2 (in most cases) or 5.0 (in most cases), it should recognize both Bluetooth Smart and Classic. 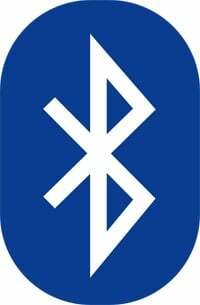 Bluetooth 4.0 devices will be officially labeled Bluetooth Smart Ready. In the case of Bluetooth 4.2 and 5, it's expected. Gadgets that commonly use Bluetooth Smart include personal health gadgets such as fitness bands or heart-rate monitors. These gadgets will only pair with a smartphone or tablet that also uses Bluetooth Smart – or are Bluetooth Smart Ready. Most smartphones are Bluetooth Smart compatible. That includes iPhones running iOS 7 and newer, Android phones running 4.3 or newer, Windows Phone 8.1 devices, and all BlackBerry 10 devices. Ensure your phone is running the latest version of its operating system – but if your device isn't new enough to run relatively current software, you may not be able to pair it with that fitness band. Devices also come with specific Bluetooth profiles. 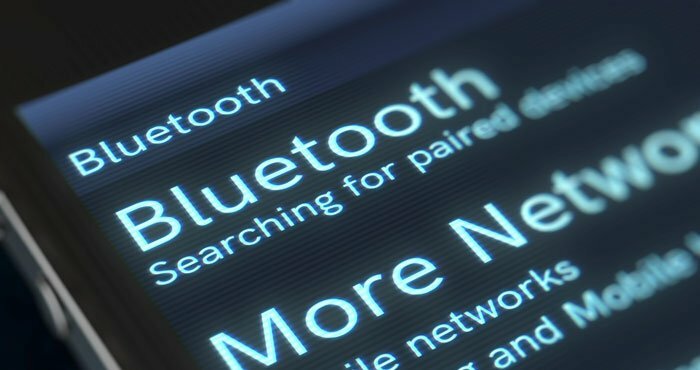 If Bluetooth is the common language connecting devices, you can think of a profile as a dialect associated with a certain use. For example, you probably aren't going to be able to connect a mouse and a camera because a camera doesn’t support the Human Interface Device Profile. But if both a mobile phone and a wireless headset support the Hands-Free Profile, you should be able to pair them. However, if the pairing failure is a matter of user error, there are steps you can take to get your devices happily communicating with each other. 1. Make sure Bluetooth is turned on. You should see the little Bluetooth symbol at the top of your phone’s screen. If you don’t, go into the settings to enable it. 2. Determine which pairing process your device employs. The process for pairing devices can vary. Sometimes, for example, it involves tapping a code into your phone. Other times, you can just physically touch your phone to the device you want to pair it with (you'll see this option with phones and devices that have NFC, or Near Field Communications, as a feature. It's commonly found on Android phones). Or in the case of the Bose SoundLink, you only have to hold down a button on the speaker to pair it with a phone. If you’re not sure how to pair a device, refer to its user guide; you can usually find one by searching online. 3. Turn on discoverable mode. Let’s say you want to pair your phone with your car’s infotainment system so you can enjoy hands-free calling, texting and navigation. First, go into your phone’s settings and tap on Bluetooth; doing so makes the phone visible to the car. Then depress the buttons on your car's infotainment system, usually on the steering wheel or center stack, to get it looking for the device. Once it finds your phone, the car may ask for a numeric code you need to confirm or input on your phone. After you do so, the devices should be paired. Keep in mind your phone or your car may only stay in discoverable mode for a few minutes; if you take too long, you’ll need to start over. 4. Make sure the two devices are in close enough proximity to one another. While you wouldn’t think someone might try to pair an iPad with a keyboard if the two weren’t sitting right next to each other, it’s probably worth noting that you should make sure any devices you're trying to pair are within five feet of one other. 5. Power the devices off and back on. A soft reset sometimes can resolve an issue. With phones, an easy way to do this is by going into and out of airplane mode. 6. Remove old Bluetooth connections. Say that faithful Bluetooth speaker usually connects to your partner's smartphone instead of yours. If you're having trouble pairing your phone with the speaker, it could be because the speaker is trying to connect to the old device. Some older devices are very simple. They just try to connect with the last thing they paired with. If a Bluetooth device was previously paired with something else, turn off that other gadget. And if you are no longer planning on using that other gadget, unpair it from your Bluetooth device to prevent future issues. In iOS settings, you can remove a device by tapping on its name and then Forget this Device. In Android settings, tap on a device’s name, then Unpair. After removing a device, start at step 1 on this list. You can also reset Bluetooth on devices that can pair to more than one device. This clears all pairings from the device so you can start fresh. Search "reset" device name to instructions from the manufacturer. 7. Charge up both devices you're trying to pair. Some devices have smart power management that may turn off Bluetooth if the battery level is too low. If your phone or tablet isn't pairing, make sure it and the device you're trying to pair with have enough juice. 8. Delete a device from a phone and rediscover it. If your phone sees a device but isn’t receiving data from it, sometimes it helps to start from scratch. In iOS settings, you can remove a device by tapping on its name and then Forget this Device. In Android settings, tap on a device’s name, then Unpair. After removing a device, start at step 1 on this list. 9. Get away from the Wi-Fi router. Another potential obstacle to successful pairing is interference from devices that use the same spectrum, such as your Wi-Fi router. Wi-Fi has been designed to cope with this, but it might not be a good idea to have your devices directly on top of the router. 10. Move away from a USB 3.0 port. Interference from USB 3.0 is also possible. Newer laptops, for example, often have the higher-speed USB 3.0 port, so if the connection isn't happening, try pairing your Bluetooth gadgets away from the computer. 11. Make sure the devices you want to pair are designed to connect with each other. Whether it’s a headset, speaker, mouse, keyboard, camera or something else, your device has a specific profile that spells out what it can connect with. If you’re not sure, check the user manual. 13. Update the hardware’s firmware. Some automotive audio systems have been known to not pair with phones because the Bluetooth drivers in these systems didn’t work with Bluetooth 4.0. If you’re not sure how to get the latest firmware for your hardware, check with the device manufacturer. 14. Limit data shared between devices. Android and Windows devices let you choose the information you share between devices. So, for instance, you can choose to share phone audio, media audio, contacts and text messages with your car. If you don't need to share all of the data, deselecting one or more of the types of information may enable the devices to pair. For Android devices, go to Settings > Bluetooth and select the device. If there are options to select, they will appear. For Windows, go to Control Panel > Hardware and Sound > Devices and Printers and right click on the Bluetooth device in question. Then select the Services tab to choose which types of information to share. 15. Clear the Blutooth cache (Android only). Sometimes apps will interfere with Bluetooth operation and clearing the cache can solve the problem. Go Settings > Backup and restart > Reset network settings. Keep in mind that not all wireless devices use Bluetooth. Alternatives include the Wireless Gigabit specification, Wireless HD, ANT+, ZigBee, NFC as well as Wi-Fi Direct. These other technologies typically won’t work with your phone, tablet or PC without some kind of additional hardware. 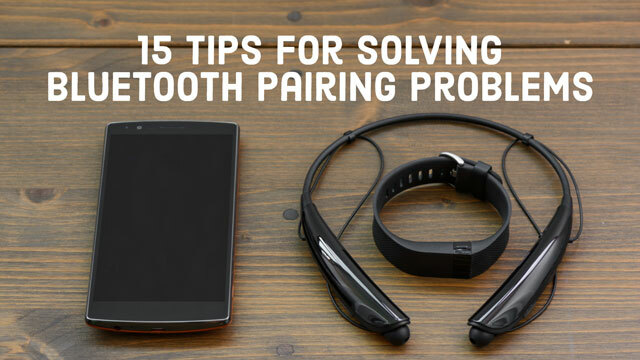 We hope this guide has helped you with your Bluetooth pairing problems. If you know of any tip we've missed, share in the comments below! I can’t pair my plantronics edge with this cheap Alcatel ontouch phone. It paired perfect with my galaxy s4.. Getting to scrap this dam Alcatel. I had this problem for a few days now and thank god think tutorial helped me out. Why does bluetooth has to be so complicated at times? Yesterday I bought a new bluetooth handsfree and it was not connecting to my mobile. I was very upset because I bought that handsfree online. After reading your tips I was able to pare it with my mobile. Thanx for sharing an informative article with us. I used to be able to connect, automatically when my ipod and speaker turned on. but for some reason one day this stopped working. the manual my speaker came with isn’t helping, and I’m not sure what to do now. is it possible my speaker forgot my ipod? also, I do have a new laptop in my room, and it was on while I tried to connect. how did this effect it? Did you try the steps above in the article? The steps above will fix most issues. Also, is this only an issue when your laptop is on or is it all the time? If only when on, then turn off your laptop’s Bluetooth if you’re not using it or pair your iPod before turning the laptop on. Also, delete the speaker from your laptop if they had been paired previously so they won’t automatically connect in the future. If you’re not seeing your device when your phone scans and it’s not listed in the “Paired Devices” list, then try resetting your headset into pairing mode. If you see the headset in your list of “Paired Devices” but it does not connect, you’ll need to unpair it. Tap the settings cog next to the device name and you’ll see the option to “Unpair.” Then set your headset in pairing mode, as though you were pairing it with a new device. I have unpaired and then paired once but still didn’t connect. So I tried it again and this time when I try to sync and pair it again the device doesn’t show up, but when I try to pair the headphones to my phone it shows up just fine. Am I missing something? Why does it show up on other devices and not on the Dell computer, when it worked before? for it to work on my other device. Bluetooth frustration! Was paired now wont connect BRAND NEW! Dell Latitude 3340 Windows 7 with Bluetooth. son uses this laptop for his school work. He keep breaking the cords to the headphones I have to keep buying. So instead I bought him a HMDX HX-HP420 Jam Transit Bluetooth Headphones with Microphone. A few days ago I was able to pair them together and it worked for a day. The next day it showed them paired but the headphones wont connect. It has now been 2 days and I still can’t get them to connect. I tried to connect it manually but it still wouldn’t work. Then I uninstalled it and re-installed it but it wouldn’t connect. I uninstalled it and restarted the computer and now I can’t get the computer to find the headphones anymore. I need HELP! They are NEW and only used one day. I know it works because it worked for a day… but why wouldn’t it connect the next day and why can’t it find the headphones now? Hi,I have a galaxy tab 4 and it’s no longer accept to connect with the audio device since I restarted the tablet but in the other devices, such bluetooth audio device, accept. What is the problem and how to solve it out? My Toshiba Satelite Tab says it is paired with my LG HBS850 and vice versa but the audio still comes out of the tablet and not my headset. LG HBS850 and Toshiba Satelite Tablet say they are paired and connected but audio is not coming through the headset. I’ve unpaired and reconnected, restarted and played with it for a couple hours. Help, Please! Sometimes you need to go into settings to select the headphones as your audio instead of the internal speaker. Which app are you using? I’m not able to add apps to my Tosh Tab. But because of your reply I went back in (yet again! )to monkey with the settings. I had to disable my internal speakers (which made them disappear! yikes) And as I have my internet through my phone’s hotspot and didn’t realize, even though everything was paired, etc. with my Tosh Tab, my headset was also still paired/connected with my phone! My headset will only pick up one device at a time, so I unpaired my phone. D’uh, lol. I knew it would be something simple that I just wasn’t seeing. So-now my internal speaker icon is gone from the Tosh Tab. I had to look up how to get it back…...Control Panel > sound > Right mouse click in the blank white area of the Playback screen. This will bring up a menu of which one of the options should read “Show disabled sound devices.” Click on that option to re-enable the sound devices for the computer. Click there with right mouse button and check all options. Hope this all helps someone else! I read a lot of different articles when my bluetooth headpones refused to connect to my android tablet. Your tip that assisted me related to turning off unrelated bluetooth devices. But I would like to give you one tip that may assist other people. Ensure that both your tablet / headphones are fully charged before trying to pair. Silly as it sounds, my problem was that simple. I forgot to fully charge my headphones. Once I charged my headphones overnight, it picked up and paired within 30 seconds. I hope that this helps someone else. The tevo shox beast Bluetooth speaker is a great device. So you can either have the speaker on “bluetooth mode” where you pair your device. Or have the spekear in “aux” mode. The speaker has a voice when the speaker is on which tells you what mode it’s on. The issue im having is that I can connect to the speaker using my iPhone 5 no problems. But shortly after about 30 min the speaker changes to aux mode by itself. Then Bluetooth mode.. I’ve made sure the speaker is fully charged. I have done the tips as shown on this site. wi fi is off. Re paired the devices.. All of that. I am in retail and the reason I bought the shox beast is because it worked everyday when I’m at work and connect. It sounds like you’re getting Bluetooth interference and it’s losing the connection and having trouble refinding it once it’s lost. I find that turning on and off Bluetooth helps it reconnect. Are you using the speaker in a place where there are a lot of wireless devices in use? If so, you’ll want to step away from the devices to re-initiate the pairing. Tap the Bluetooth button to turn BT off. Press and hold down both the Sleep/Wake button and the Home button at the same time. Keep them held down until you see an Apple logo. Wait for your iPhone or iPad to reboot, otherwise nice information and enjoyed to reading. Thanks for the reply. Actually found out it to be a fault on the speaker as someone I know who has the shox beast for almost two years told me that his has never done what mine was doing and sounded like a fault. I went and got an exchange. Got a new shox beast speaker and I can now happily say that it’s working exactly as it should. No problems. I have a purple light… I didn’t press nothing. Now it doen’t want to pair. What does that heat thing you are talking about works? I have a Beats HP computer that has built in bluetooth but trying to connect it to a Panasonic Radio PP105160 and I have gotten it to pair with each other but cant hear anything from the radio. but I can still hear it from the computer speackers. its like it doesnt want to switch over to the car radio. My phone and my husband’s phone works fine with the car radio. it would be nice to use my computer in the car. can you plz help me. thanks! Sometimes you have select the playback device on your computer in addition to pairing via Bluetooth. If you right click on the volume icon and the select playback devices, you should see your computer’s internal speakers as well as the Bluetooth option. I have three Bluetooth devices and have problems with all of them. It seems to me that the main problem is due to bugs - something that you only touched on in points 12 and 13. Most often the devices loose connection for no apparent reason. You need to reset one or both devices to get them working again, until hours or days later when it happens again. I had lots of these sorts of problems with my watch (Pebble Steel) when I first got it. Since then the software has been updated several times and it is much more reliable. I have no idea why it is so hard to write reliable software for Bluetooth but I suspect it is due to a poorly design API. I have 2 Tablet,one with bluetooth 3.0 and the other bluetooth 4.0 both standed.Whats weird is only bluetooth 3.0 is working on my idance headset with csr bluetooth solution. Try unpairing the headphones on your tablet (select forget device) before trying to pair them on the 2nd tablet. You’ll have to do that every time you want to switch between the tablets. Hi I have an iphone 3 and a new GPS running windows ce 6.0. the devices pair, but won’t integrate functions such as making phone calls receiving calls showing phone book etc…the GPS works with an android phone but not my iphone 3 ?? I’ve recently purchased a PLT M180 to upgrade my M165. My M165 model will connect to my Galaxy Note5 without any issues, however the M180 model isn’t able to communicate with my phone / connect. I’ve unpaired and repaired the M165 multiple times, and my phone will connect to my car, as well. I have another phone, the HTC One_M8 that the PLT 180 will connect to without issue - is there a way to make it possible for my Galaxy Note5? All the devices are functioning correctly. Both versions of the PLT use Bluetooth 3.0, so I’m not sure why one would work on the Galaxy and not the other. Does the M165 still come up in the list of devices? Even if you unpair, it may still have it in memory. You’ll need to “forget” it. Let me know if that works. 10. Move away from a USB 3.0 port. This resolved my issue with iPhone SE and Bluetooth speaker - thank you so much! My Bluetooth pairing problem is still exist. I read your article. Need to apply your article steps. Ill let you further details on my bluetooth problem. I have problems connecting bluetooth devices quite frequently. Thanks for sharing these tips, they should help me the next time I have a problem. I have bluetooth earbuds that have worked before, and now suddenly my phone can’t even discover it to pair with! I’ve tried everything on this page that applies, and still nothing. Which BT earbuds and phone are you using? They are Francois et Mimi’s. If you hold down the power on button until they flash orange and blue, you’ll be in pairing mode. If the headphones don’t go into pairing mode, there may be something wrong with the headphones. If the headphones do go into pairing mode and you don’t see them on your device, make sure that any other device that might play audio is disconnected before attempting pairing. Hope this helps. I tried to connect my iPhone 5s to my Lenovo Laptop and was having problems as my computer kept asking if the code was exactly as it was on my iPhone. I kept waiting to see if the code would show up and then of course the iPhone said that it connected unsuccessfully. Eventually I went ahead and said yes it does match even though it never showed up on the iPhone. The result was that it went ahead and connected the two together through Bluetooth. Problem solved for that! The number changes each time I try to pair. The JBL Clip+ does not have a way to input a number - so it won’t pair. Any suggestions? Thank you. The “forget the device” and reconnect solved my issue. Bluetooth headsets can be further broken down into section i.e in major three categories, first being the traditional, mono, single- ear headsets which clicks to majority’s mind when they hear the word Bluetooth headset for the first time. The second being the stereo headsets that covers both the users ear. Where one is willing to make calls, Stereo headsets are considered as best and can also be used for listening music. Lastly, there are speakerphones that need not to be connected to the user’s ear, instead one experiences project voices that assist you to hear without placing any device on your head. ok for me it was not pairing due to being to near my laptop usb3 port. As soon as I moved my samsung galaxy s6 and speaker away from laptop, it worked. Thank you so much!!!!!!!!!!!!!!!!! Check which accounts you're syncing to your phone? Did you check to see which accounts you are syncing to your phone and whether you deleted the contacts from all those accounts or just the ones stored on your phone? For example, if you are syncing your Google contacts to your phone, but you only deleted the contacts that are associated with “Phone” not Google, then perhaps your car is picking up the contacts from there. Note that in Android, you can choose which contacts to display. So you may by only seeing your “Phone” contacts on the phone, but other contacts are there behind the scenes. I’m speculating somewhat here, and don’t know what combination of contact accounts you have, but that seems like the best place to start.